This section covers asssigning, freeing, sharing IP adressses. 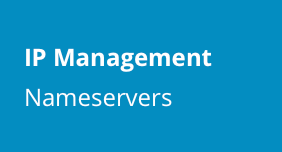 To access IP management, sign into the control panel and then click on the "Server Manager" icon, followed by the "IP Management" link. If you see a server IP in your table, it means that you are allowed to create name-based accounts using that IP address. That is, your customers' web sites would resolve to that IP address. In the above table, we see one server IP (176.32.211.18). Please note that you cannot alter this IP address because it is not owned by you. An owned IP is an IP address alocated to one User only. For example, our User (tom) owns 176.31.211.20, which is the IP address of his main web site. You can think of owned IP addresses as dedicated or static IP addresses. A shared IP is an IP address that more than one User can be assigned to. 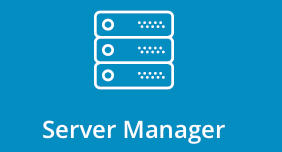 In the above example, our Reseller is using 176.31.211.21 for name-based hosting. That is, he could create unlimited web sites that resolve to that IP address. To make an IP address shared (assignable to multiple Users/sites), place a check next to the IP address(es) you want to share and then click the "Share" button. To free an IP address (assign to nobody), place a check next to the IP address(es) you want to free and then click the "Free" button.